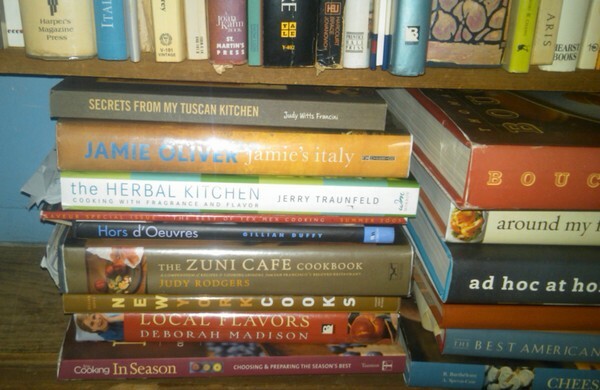 If your shelves bulge with cookbooks yet there is nothing to eat, Eat Your Books to the rescue. They specialize in cookbook cleanup, helping recipe hoarders and collectors alike take advantage of their collections. Cookbooks occupy a wall in our office and a corner of the living room. Medieval elixirs to food truck kimchee, we’ve got the recipe. 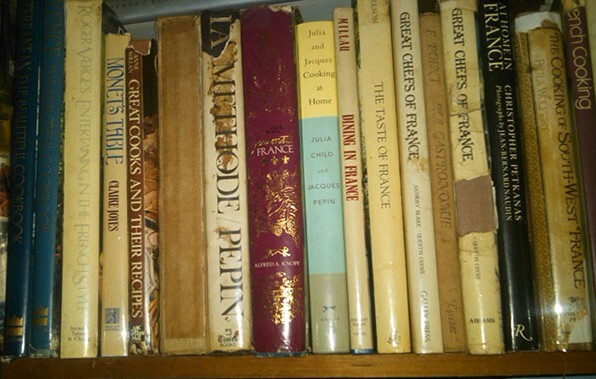 On humid days, some of our cookbooks exude the smell of old kitchen grease reminding me of working in our restaurant kitchen so I can’t bear to part with them. But good luck finding a specific recipe when we need it. Eat Your Books is a godsend for collectors like me. A search engine for cookbooks, this web site catalogues recipes from thousands of books, magazines and blogs to help you find what’s hidden in your own cookbook library. All you have to do is input the titles of books you own. (Adding book titles is simple. Usually just the title works. Or you can type in the author and see what is in their database. I took these photos for that purpose.) When you do a recipe search, the key ingredients appear alongside the recipe title as well as links to other member comments. Although there are many free recipes, this is not a recipe site. Only book titles, page references and ingredients get listed. With over a million recipes indexed, will you ever go hungry? The Fine Print – Eat Your Books has a reasonable annual fee although the International Association of Culinary Professionals offers its members, me among them, a complimentary subscription.